Superb, wide-ranging talk on “Economic Democracy” by the legendary Bob Williams. Worth watching! And it is worth looking at this definition of the economics term “rent seeking.” In short, rent seeking is the effort to obtain benefits for oneself through the political arena. We Won! 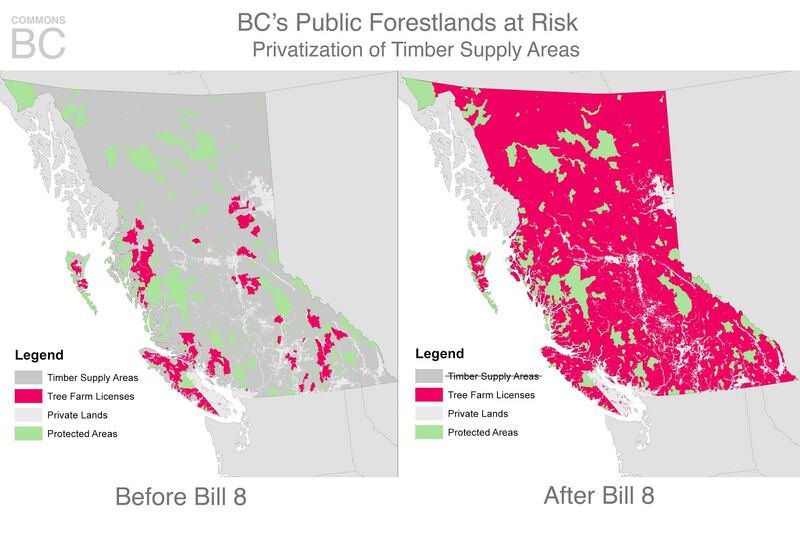 Privatization of BC’s public forestlands through Bill 8 defeated. Section 24 of Bill 8, the section that would have permitted rollover from Timber Supply Area to Tree Farm License at a minister’s discretion, was deleted before Bill 8 was tabled, as we requested. WE WON! See statement here. To all who helped spread the word, congratulations. The offending Section 24 was removed from Bill 8 before it went forward in the Legislature. More to come in later post. Thanks again! You all did a great job. 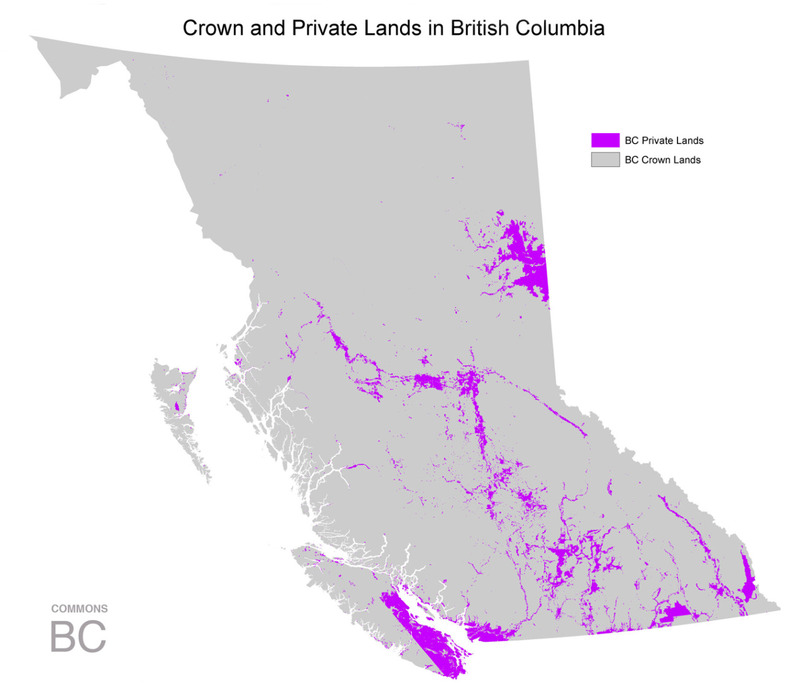 94% of BC is “Crown” or “public” lands. Resource corporations and other users gain rights to use public lands through a variety of processes. Please note that the Supreme Court of Canada has ruled that First Nations Title co-exists with Crown Title. BC Population density map, 2006 – and BC regions map. 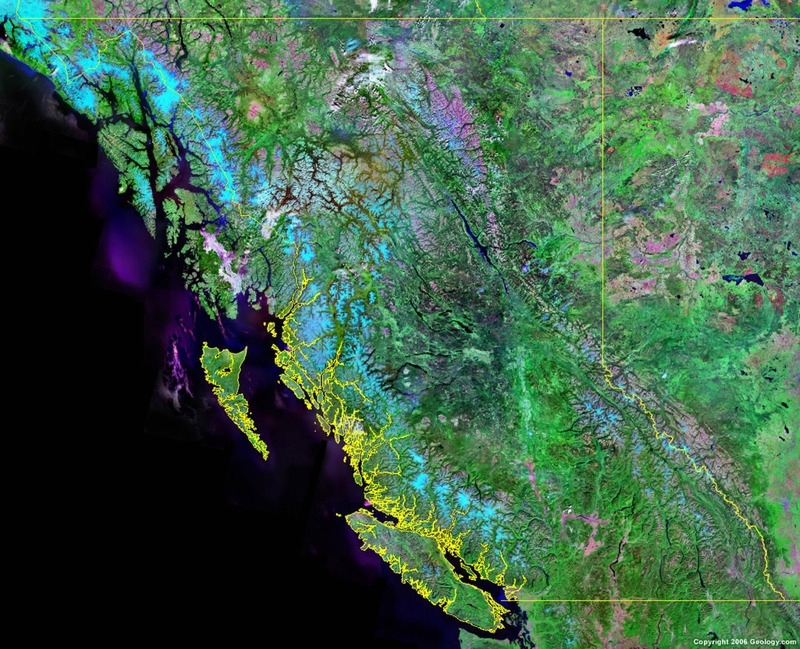 British Columbia from satellite, via Geology.com. Yellow is the BC border including coastline. 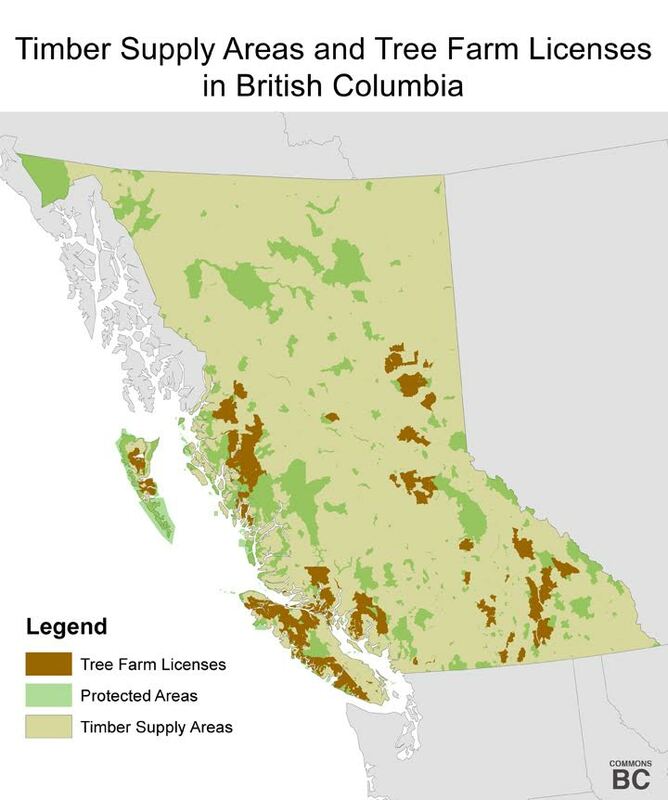 You don’t need to know the technical terms TSA (Timber Supply Area) and TFL (Tree Farm License). All you need to know is that privatization would involve turning all the yellowish areas brown. Or from grey to pink, in the second map.